Once every year, a special occasion occurs for everybody. Lost sleep, anticipation and nervousness usually happen before this day. If you’ve guessed birthday, pat yourself on the back! Perhaps people get so excited simply because it is one day out of the whole year that is totally devoted to them. Gifts are given and well-wishes are always sent with clever cards; however, it is also a time that can be quite stressful, especially if you find yourself trying to find a gift or plan a birthday party for a person who seems to have it all. In reality, you should know that your friend most likely doesn’t have it all, but it may just seem like it, but still, trying to plan the perfect birthday party when put under such pressure can be challenging. All it requires is a little creativity to successfully think of a great birthday party idea that will please your friend that supposedly has it all. If you want to really surprise the birthday boy, plan a laser tag party. In order to keep it under wraps, just make sure that the guests don’t tell and that any and all details are kept hush-hush. This is a great birthday party idea if you feel as if the person has it all. It is fun and it’s probably safe to say that the birthday boy has never done it before. 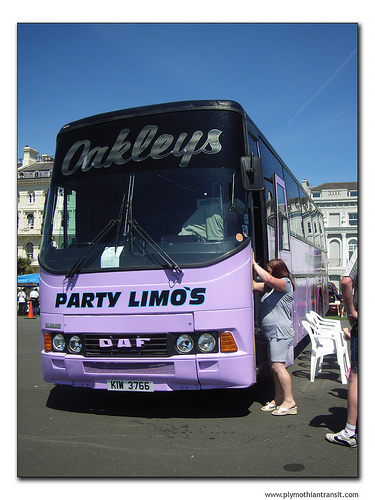 This birthday party idea is particularly for those who plan to have a secluded celebration with the person celebrating their birthday as it would be quite hard to have a list of guests embark on a road trip with the two of you; however, it could be done if you felt like forking over money for limousine rentals and whatnot. For the guy that has it all, doing something so simple yet rewarding could be the best gift he receives for his birthday. This birthday party idea is executed well if you speak to the birthday boy beforehand. If you feel he has everything he needs or wants and if he does too, then perhaps holding a party in which people would bring items to donate would be best. Guests would still enjoy their time at the party based on conversations, games and just plain having fun, but they would also be happy in the fact that they helped the needy. As you can see, planning and executing a birthday party for someone who seems to have it all is actually quite easy. It shouldn’t be hard and all it may require of you is to think outside the box. If you feel this way about your friend, it may be best to bring these feelings to him only because it could affect the level of care you have for planning the party. The most important thing to remember is to have fun while planning the birthday party. Daniel Moore writes on behalf of Hard Knocks, Orlando’s most exciting birthday party option.